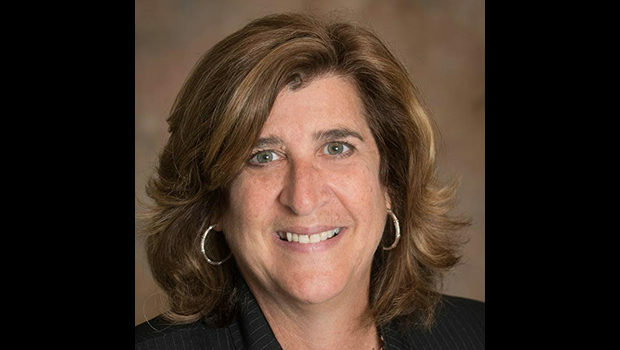 WEST HARTFORD – Leigh Newman of Bloomfield has been selected to receive Jewish Federations of North America’s 2019 Kipnis-Wilson/Friedland Award. Newman is the chair of the Board of Trustees at the Jewish Community Foundation of Greater Hartford and a member and past chair of Jewish Federation of Greater Hartford’s Board of Directors. The Kipnis-Wilson/Friedland Award was created in 2004 as a tribute to Norma Kipnis-Wilson and Toby Friedland z”l, co-founders of Federation’s Lion of Judah program for women who have contributed $5,000 or more annually in their own name to Jewish Federation’s annual campaign. Lions of Judah are selected by their peers to receive the Kipnis-Wilson/Friedland Award, which is presented at the biennial International Lion of Judah Conference. Leigh Newman will receive Jewish Federations of North America’s 2019 Kipnis-Wilson/Friedland Award at the International Lion of Judah Conference in January 2019.